(Francisco Kjolseth | The Salt Lake Tribune) The new 23-unit modern townhome project called theEDITH, one of several in-fill townhomes projects by the company called CW Urban takes shape as it gets ready to open on the southwest corner of 1700 South and West Temple in Salt Lake City. The three story buildings will offer three unique floor plans ranging from 1545-1964 total square feet with 2-3 bedrooms, 2-3 baths and 1-2 car garage. 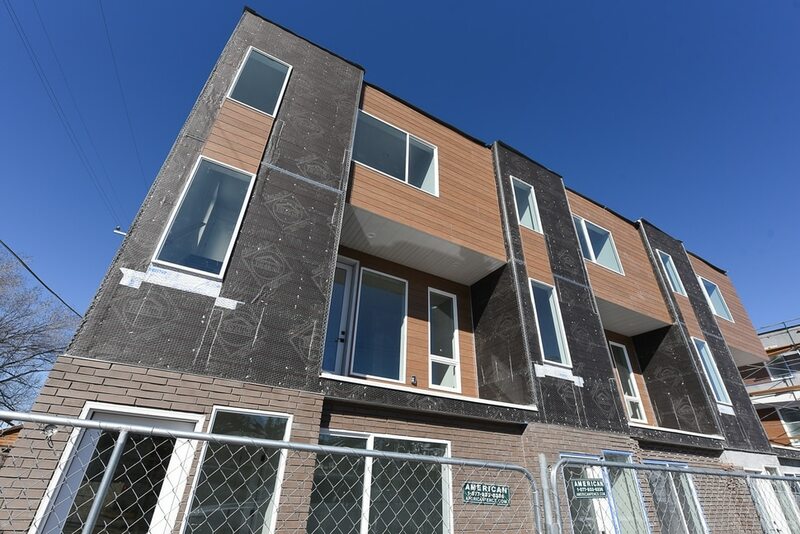 (Francisco Kjolseth | The Salt Lake Tribune) The new 23-unit modern townhome project called theEDITH, one of several in-fill townhomes projects by the company called CW Urban takes shape as it gets ready to open on the southwest corner of 1700 South and West Temple in Salt Lake City. The three story buildings will offer three unique floor plans ranging from 1545-1964 total square feet with 2-3 bedrooms, 2-3 baths and 1-2 car garage. (Francisco Kjolseth | The Salt Lake Tribune) The new 23-unit modern townhome project called theEDITH, one of several in-fill townhomes projects by the company called CW Urban takes shape as it gets ready to open on the southwest corner of 1700 South and West Temple in Salt Lake City. The three story buildings will offer three unique floor plans ranging from 1545-1964 total square feet with 2-3 bedrooms, 2-3 baths and 1-2 car garage. 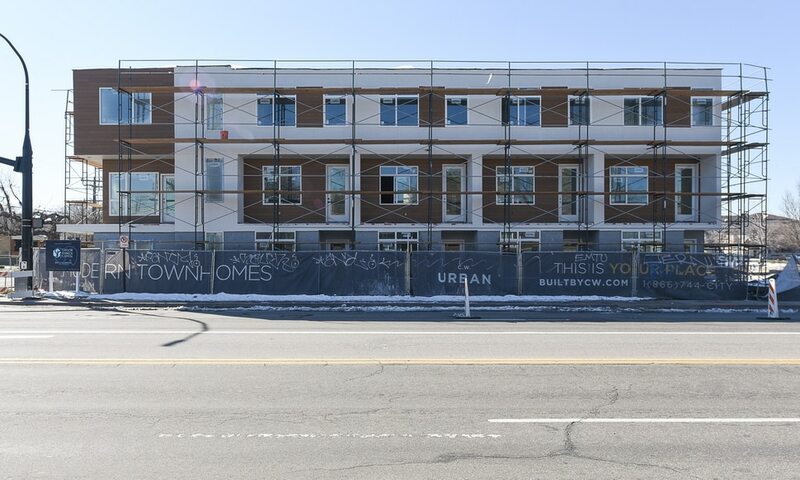 (Francisco Kjolseth | The Salt Lake Tribune) The new 23-unit modern townhome project called theEDITH, one of several in-fill townhomes projects by the company called CW Urban takes shape as it gets ready to open on the southwest corner of 1700 South and West Temple in Salt Lake City. The three story buildings will offer three unique floor plans ranging from 1545-1964 total square feet with 2-3 bedrooms, 2-3 baths and 1-2 car garage. (Francisco Kjolseth | The Salt Lake Tribune) The new 23-unit modern townhome project called theEDITH, one of several in-fill townhomes projects by the company called CW Urban takes shape as it gets ready to open on the southwest corner of 1700 South and West Temple in Salt Lake City. The three story buildings will offer three unique floor plans ranging from 1545-1964 total square feet with 2-3 bedrooms, 2-3 baths and 1-2 car garage. (Francisco Kjolseth | The Salt Lake Tribune) The new 23-unit modern townhome project called theEDITH, one of several in-fill townhomes projects by the company called CW Urban takes shape as it gets ready to open on the southwest corner of 1700 South and West Temple in Salt Lake City. 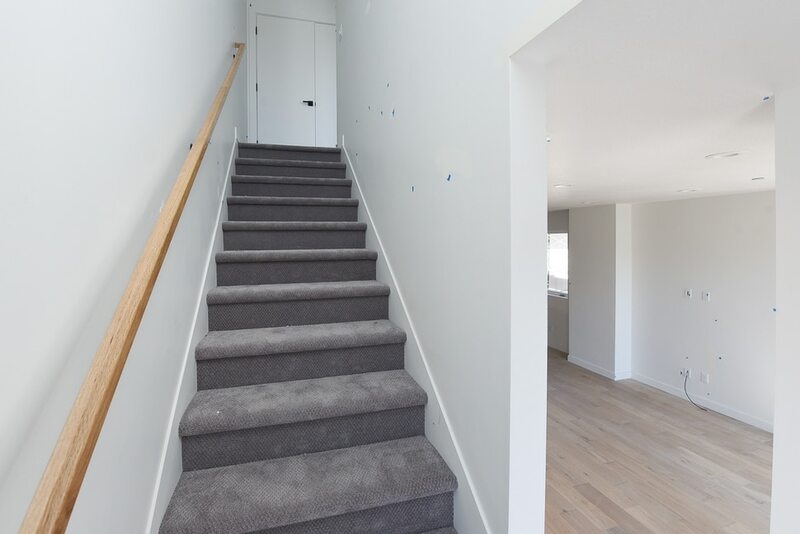 The three story buildings will offer three unique floor plans ranging from 1545-1964 total square feet with 2-3 bedrooms, 2-3 baths and 1-2 car garage. (Francisco Kjolseth | The Salt Lake Tribune) The new 23-unit modern townhome project called theEDITH, one of several in-fill townhomes projects by the company called CW Urban takes shape as it gets ready to open on the southwest corner of 1700 South and West Temple in Salt Lake City. The three story buildings will offer three unique floor plans ranging from 1545-1964 total square feet with 2-3 bedrooms, 2-3 baths and 1-2 car garage. (Francisco Kjolseth | The Salt Lake Tribune) The new 23-unit modern townhome project called theEDITH, one of several in-fill townhomes projects by the company called CW Urban takes shape as it gets ready to open on the southwest corner of 1700 South and West Temple in Salt Lake City. The three story buildings will offer three unique floor plans ranging from 1545-1964 total square feet with 2-3 bedrooms, 2-3 baths and 1-2 car garage. (Francisco Kjolseth | The Salt Lake Tribune) The new 23-unit modern townhome project called theEDITH, one of several in-fill townhomes projects by the company called CW Urban takes shape as it gets ready to open on the southwest corner of 1700 South and West Temple in Salt Lake City. The three story buildings will offer three unique floor plans ranging from 1545-1964 total square feet with 2-3 bedrooms, 2-3 baths and 1-2 car garage. (Francisco Kjolseth | The Salt Lake Tribune) The new 23-unit modern townhome project called theEDITH, one of several in-fill townhomes projects by the company called CW Urban takes shape as it gets ready to open on the southwest corner of 1700 South and West Temple in Salt Lake City. The three story buildings will offer three unique floor plans ranging from 1545-1964 total square feet with 2-3 bedrooms, 2-3 baths and 1-2 car garage. (Francisco Kjolseth | The Salt Lake Tribune) The new 23-unit modern townhome project called theEDITH, one of several in-fill townhomes projects by the company called CW Urban takes shape as it gets ready to open on the southwest corner of 1700 South and West Temple in Salt Lake City. The three story buildings will offer three unique floor plans ranging from 1545-1964 total square feet with 2-3 bedrooms, 2-3 baths and 1-2 car garage. (Francisco Kjolseth | The Salt Lake Tribune) People tour the new 23-unit modern townhome project called theEDITH, one of several in-fill townhomes projects by the company called CW Urban takes shape as it gets ready to open on the southwest corner of 1700 South and West Temple in Salt Lake City. The three story buildings will offer three unique floor plans ranging from 1545-1964 total square feet with 2-3 bedrooms, 2-3 baths and 1-2 car garage. (Francisco Kjolseth | The Salt Lake Tribune) Urban real estate developer CW Urban, who specializes in the construction of urban in-fill townhomes, condos and apartments has theRuby at 824 S. West Temple as one of its recent developments. (Francisco Kjolseth | The Salt Lake Tribune) Urban real estate developer CW Urban, who specializes in the construction of urban in-fill townhomes, condos and apartments has theRuby at 824 S. West Temple as one of its recent developments. (Francisco Kjolseth | The Salt Lake Tribune) Urban real estate developer CW Urban, who specializes in the construction of urban in-fill townhomes, condos and apartments has theRuth at 275 W. 800 S as one of its recent developments. (Francisco Kjolseth | The Salt Lake Tribune) Urban real estate developer CW Urban, who specializes in the construction of urban in-fill townhomes, condos and apartments has theRuth at 275 W. 800 S as one of its recent developments. A series of small housing projects have sprouted around Salt Lake City’s east side, with retro women’s names like Ruth, Mabel and Rose. You might call them “niche” homes, reflecting a generational shift in Utahns’ homebuying preferences. Typically tucked between existing buildings, often in neighborhoods in transition, these clusters of town homes, condominiums and apartments are the work of C.W. Urban, a Centerville-based developer with roots in more traditional, single-family home construction. The company last week announced the grand opening for theEDITH, with 23 three-story town homes at 1700 South and West Temple — one of several projects in the so-called “missing middle” of housing that C.W. Urban hopes will appeal to buyers seeking to relocate to urbanized settings. Along with theRUTH, a completed 17-unit development at 300 West and 800 South, the firm is currently building three luxury town home projects: theMABEL, with six dwellings at 323 S. 700 East; theCYNTHIA, made up of three row town homes at 545 S. 800 East; and theROSE, with two refurbished bungalows and four town homes, at 525 S. 500 East. Dwellings in theEDITH range between 1,545 and 1,964 total square feet, with two and three bedrooms, priced at between $390,000 and $415,000. “Missing middle” often refers to a spectrum of multidwelling or clustered housing types, usually aimed at meeting demand for a more pedestrian-oriented style of city living. Town homes and condos are also often less expensive to buy than single-family homes. And, as a segment of Utah’s housing market, the “missing middle” is growing dramatically. In 2012, Utah cities issued building permits for 3,485 dwellings falling into the “missing middle” category, which includes duplexes, condos, town homes and apartments, according to data from the University of Utah’s Kem C. Gardner Policy Institute. About 841 of those units were approved in Salt Lake County, 150 of them in Salt Lake City. By 2018, that number had risen to 11,025 “missing middle” dwellings approved statewide, the data show, with 5,510 of those in Salt Lake County and 814 in Utah’s capital. Single-family homes, meanwhile, made up just under a third of all residential building permits approved in Salt Lake County in 2018 — down from about 71 percent of all permits six years earlier. Darlene Carter, division president for C.W. Urban, said the company has specialized in the “unique challenge” of developing and building infill homes on vacant lots around the city, with high-end designs and materials. In addition to single millennials and young families, Carter said, C.W. Urban homes appeal to baby boomers seeking to downsize and to those relocating to Utah from cities elsewhere. C.W. Urban projects started out being named after the daughters of company employees, she said, and the pattern stuck. Colin Wright, founder and owner of the firm’s parent company C.W. Group, has a background of building single-family houses through Henry Walker Homes, which he founded, and Cole West Home, southern Utah’s largest homebuilder, which he bought in 2016. Wright is said to have purchased a sizable portfolio of financially distressed properties in the wake of the Great Recession, including key lots in residential neighborhoods of Salt Lake City. C.W. Urban could unveil as many as 14 residential projects in Salt Lake City, Bountiful and Park City in the coming months as it serves a rising population of buyers hoping to live downtown. “Clearly we’ve seen a demographic shift,” Wright said in an interview.